Here at Triangle HR, we’re thrilled to be celebrating ten years since first opening our doors in August 2008! With an ever-growing portfolio of clients both regionally and nationally covering a wide range of sectors, we’re immensely proud to have continued to go from strength to strength – with our client base having increased by a massive 60% over the last three years alone. 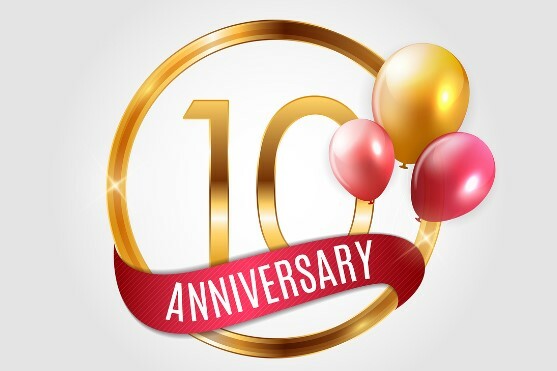 Triangle HR’s MD, Justine Vaughan, explained: “To be celebrating ten years in business is fantastic. Having started out on my own back in 2008 following over two decades working within Human Resources, to having a team of highly qualified HR experts working alongside me, fills me with tremendous pride. “Our strapline at Triangle HR is ‘professional support, personally delivered’, and we pride ourselves on our highly personal approach, which sees us deliver a truly flexible service perfectly suited to our clients’ needs. We work hard to get to know our clients and their business so that we don’t just offer a one size fits all solution, but something that will really work for them – with our team offering an extensive range of skills, experience and resources. We’re hugely excited about the future for Triangle HR and in celebrating many more milestones in the months and years to come,” Justine concluded.